The TV as a videophone. The TV as a video game arcade. The TV as a computer. Plus he gives some thought to “future proofing” that offers some food for thought for those of us whose equipment still spans many years. I’m thinking about all three uses as I move forward with selecting a 60” plasma TV for the living room. I’m also considering an upgraded audio system to handle surround sound decoding and switching audio and video among devices, plus I’ll probably be getting an Apple TV device to replace the Roku. The TV as a video game arcade. I’m not a gamer, but members of our household are. One thing I’ve noticed is that when the large TV is being used for gaming, that’s all that’s going on with it, especially if the sound is turned on. Not everyone wants to watch you hunt down and kill the opposing soldiers, no matter how sharp and pretty the images of bloodshed and destruction are in HD. The TV as a computer. 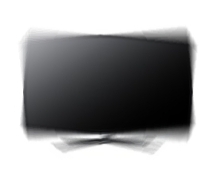 I definitely would like this, to quickly and easily throw an image from my computer onto the big TV and vice versa. Transportability of audio and video signals across laptop, TV, tablet, and smartphone is definitely an up and coming thing. This is one of the reasons my next computer will probably be by Apple — I suspect their solution to cross-platform portability will be simple and elegant. Things have gotten better since then, I admit, but we still have a mix of old and new technology in the living room that even I find it a pain to deal with sometimes. My recent experience just getting sound from a Vudu movie was a sobering reminder that we still need email and technical support just to get the basics to work. So the promised land described by Elgan is definitely coming, but in some households it may arrive kicking and screaming.